This Side That Side is an anthology of diverse stories and narratives relating to the partition of India. The stories are presented in a rich visual, graphic format, where text and image work together to place the reader at the scene. The visual representation is engaging as, often, what is not explicitly said is illustrated, and in this absence of words, a more powerful messaging emerges. The Taboo writen by Malini Gupta and Dyuti Mittal. The book was released in 2012 and features 47 contributors who collaborated to produce 28 stories with the partition as a common theme. 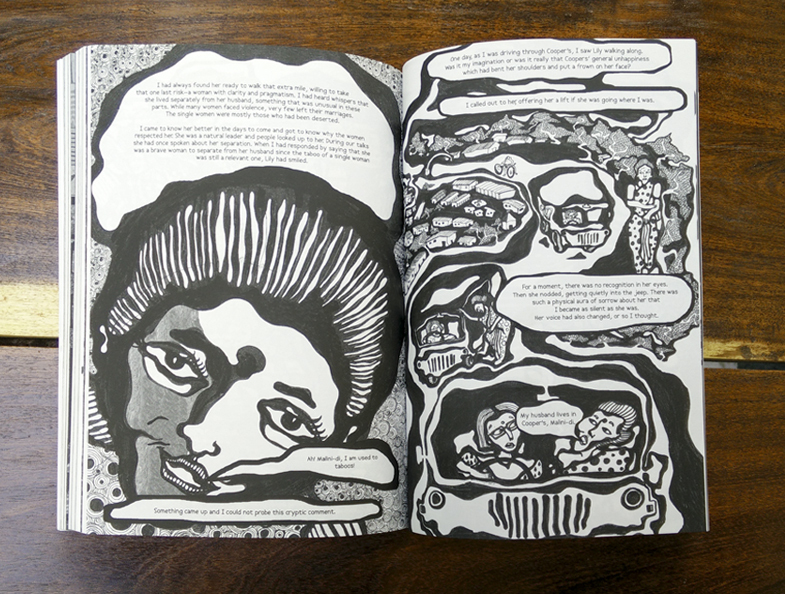 The contributors—with backgrounds as journalists, illustrators, filmmakers, artists, designers and writers from India, Pakistan and Bangladesh—voiced narratives of fiction, poetry, reportage, comics and family histories. 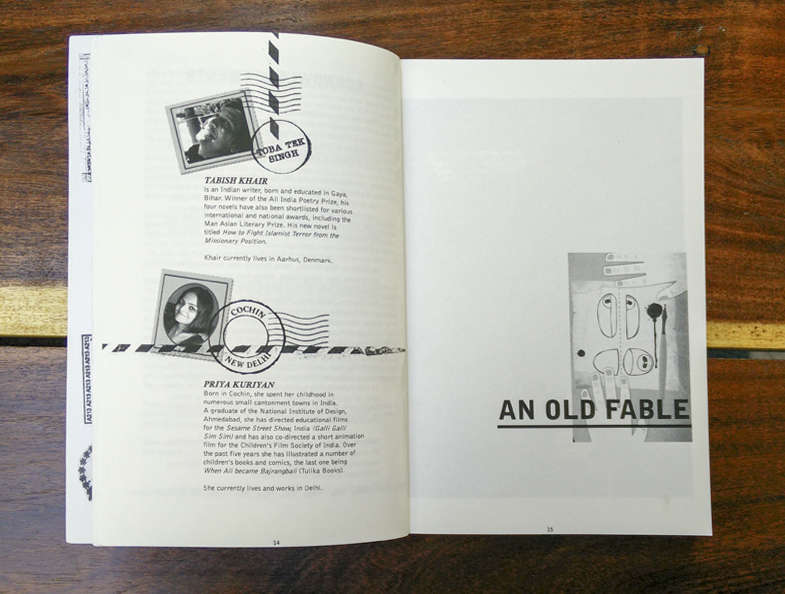 The Old Fable is a collaboration between Tabish Khair and Priya Kuriyan. A spread from The Old Fable. At a TED talk in 2009, Nigerian writer Chimamanda Ngozi Adichie speaks of the danger of a single story and its ability to misrepresent people and cultures by reinforcing only one idea. The talk essentially encourages you to continuously seek different perspectives in order to develop a better understanding of the nuances of a complex, layered idea. Retelling and revisiting the partition opens up how we, in this day and age, with almost no first-hand connection, can start to understand it. I find that this is the most striking aspect of This Side That Side; as a compendium of stories, it manages to communicate the complexity of the partition—not through academic understanding—but by giving space and life to multiple voices and stories. A spread from the spread I Too Have Seen Lahore! by Salman Rashid and Mohit Suneja. 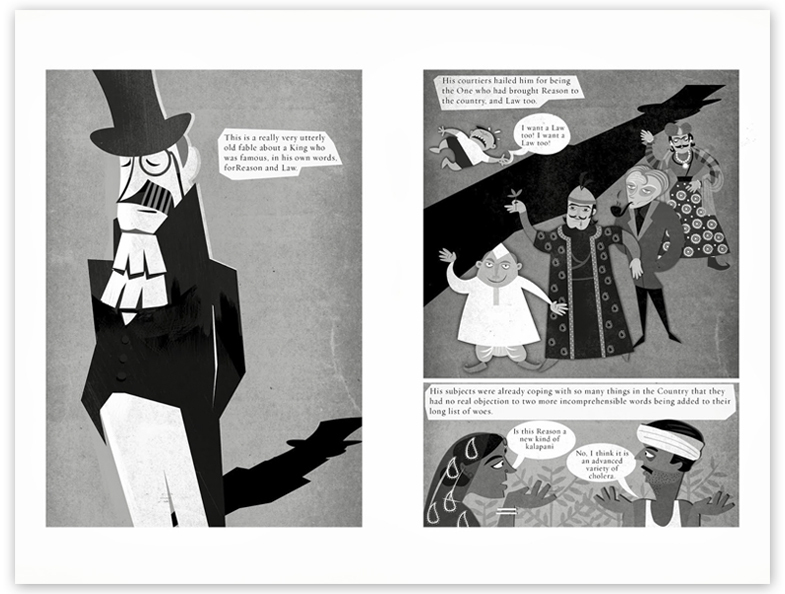 The book was compiled by Vishwajyoti Ghosh, an Indian graphic novelist and artist based in Delhi, and published by Yoda Press and Goethe Institut, Delhi. 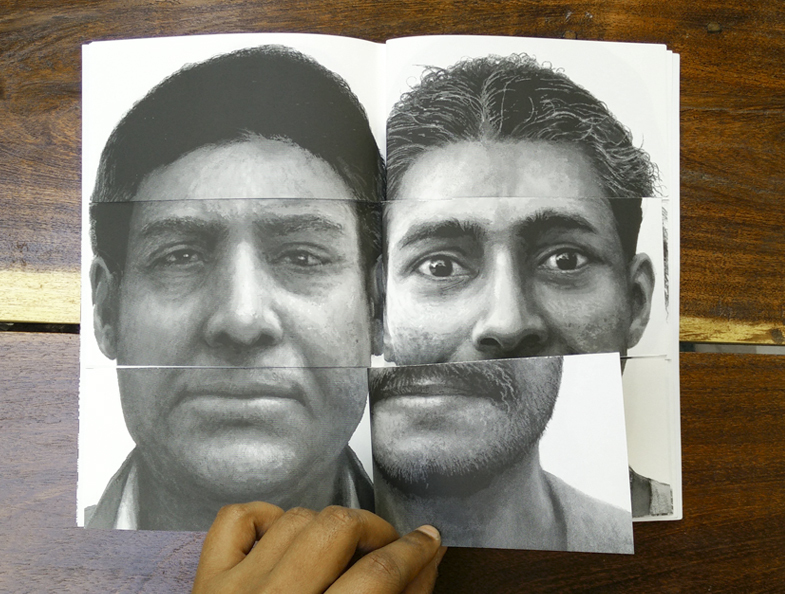 Contributors were invited to collaborate on the project through an open call in 2011. At times, the partition serves as a backdrop to people’s lives, and at other times it is the main focus of the story. In the story ‘The Old Fable’, written by Tabish Khair and illustrated by Priya Kuriyan, the division of India is parodied through a metaphor. 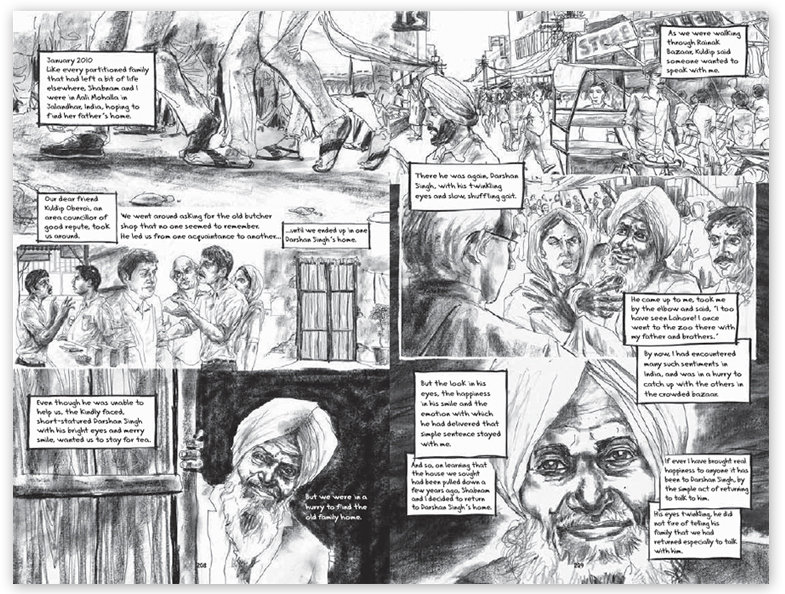 The story ‘I Too Have Seen Lahore’, worded by Salman Rashid and illustrated by Mohit Suneja, is an account of Darshan Singh, born in Pakistan, who has to leave his home because of “a new line drawn by history across the heart of an ancient land”. The short stories are snippets that inform, entertain, amuse, and educate. They force you to look at the partition through different lenses and often with personal, anecdotal connections in real-life contexts, not isolated in a history textbook. The stories deal with questions of identity and home and lead us to explore the idea of the ‘other side’.The experimental and novel format itself engages readers to approach the book without preconceived notions—allowing for a deeper exploration of our history.